Pueblo Mechanical employs about 200 people in Tucson. 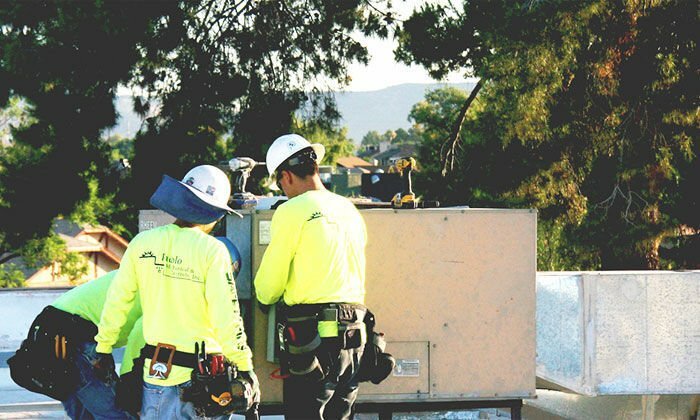 Tucson-based Pueblo Mechanical & Controls has acquired two Phoenix-area companies as it vies to build a regional platform for heating, ventilation and air conditioning service. Pueblo acquired Chandler-based Newgaard Mechanical Inc. and Phoenix-based CFM Mechanical LLC in its second and third acquisitions since Detroit-based private-equity investment firm Huron Capital acquired a majority ownership stake in Pueblo in December 2017. Terms of the acquisitions of the privately held firms were not disclosed. In early January, Pueblo acquired Phoenix-based Commercial Air Inc. as part of a buy-and-build strategy to create a HVAC powerhouse in the Southwest. Founded in 2001, Pueblo Mechanical employs about 200 workers. Pueblo Mechanical buys Commercial Air as part of buy-and-build growth plan.